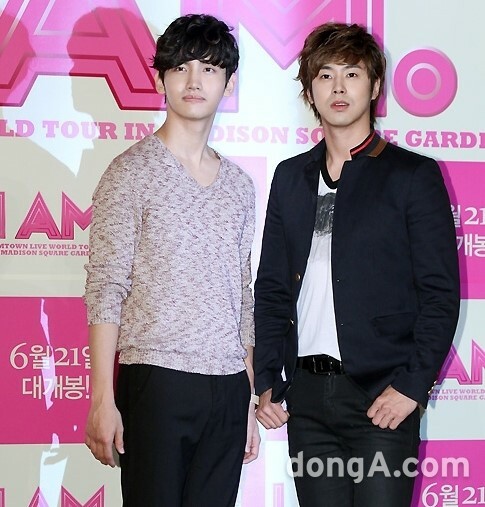 TVXQ are set to kick off their first tour in the American continents next month for their World Tour. The group will be holding their ‘TVXQ Live World Tour – Catch Me’ concert at the Nokia Theater in LA, USA on the 6th of July. They will then move to South America for a concert in Lima, Peru on the 14th of July. This will be TVXQ’s first solo concert in the Americas and Peru was chosen as it is seen as the biggest K-pop market in South America. JYJ were the first to hold a concert there and were followed by U-KISS, Big Bang, and Super Junior. A well-known Peruvian daily newspaper printed an article of TVXQ’s concert and stated, “The K-Pop Duo are finally coming to the capital city of Peru for their World Tour”. With a change in TVXQ’s usual focus of Japan, China and Southeast Asia, many are expecting the group’s activities to expand further with their concerts in the Americas. TVXQ’s representatives stated that the group is also preparing to hold concerts in Europe and are preparing to become a K-pop group that is popular all over the world, not just Asia. TVXQ are rewriting the history of K-pop with their latest world tour. They became the first Korean singers to hold a 5 Dome Tour in Japan, and will be the first non-Japanese singers to perform at Nissan Stadium, which is able to hold 75,000 people. TVXQ will also be releasing their 37th single ‘OCEAN’ on the 12th.